Its back for 2012! 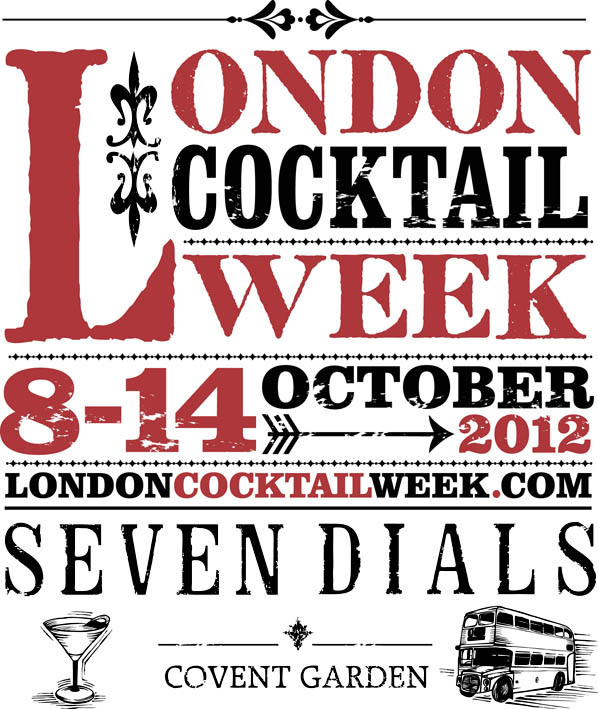 Put the dates in your diary, might be worth booking the 8th-14th October off work...wristbands are available NOW from www.londoncocktailweek.com. London Cocktail Week, the UK's largest drinks festival, has announced a partnership with Seven Dials, Covent Garden, in a move that will bring the event's seminars, pop-up bars, tastings, parties and master-classes to the heart of the West End for the first time. The new Covent Garden hub is expected to bring 20,000 cocktail lovers together to celebrate the capital's unrivalled cocktail culture. As before, the festival will provide a platform for more than 150 industry-hosted activities, from Monday 8th October until Sunday 14th October, located in the bars, shops, hotels, streets and event spaces around Seven Dials. Major drinks companies such as Bacardi Brown-Forman, Diageo, Pernod Ricard UK and First Drinks, as well as many boutique brands, have already committed to hosting events. The new West End hub also means most London Cocktail Week participating bars - offering £4 cocktails - will be within walking distance, while a complementary Routemaster bus service will ferry festival-goers to venues further afield. 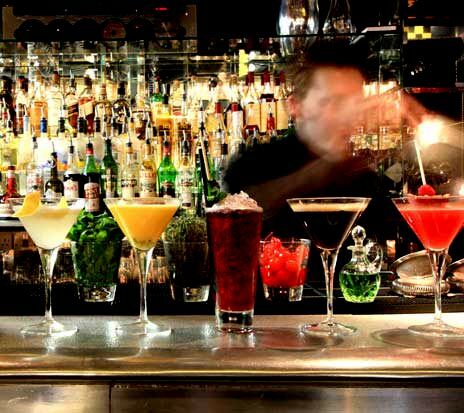 For 2012, the number of bars is being deliberately restricted to around 100 sites to ensure the best-possible quality mixology is on offer. 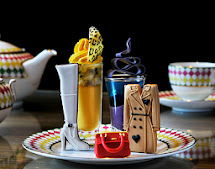 Hannah Sharman-Cox, Festival Director, said this year's London Cocktail Week was already shaping up well with events including major product launches, special pop-ups in collaboration with some of London's foremost retailers. Other significant events will include 'An Audience with...' series of interviews with high profile figures and the unveiling of Drinks International's 50 Best Bars. There will also be several large-scale trade-focused pop-ups at Seven Dials hosted by drinks brands. She said: "London Cocktail Week acts as a unifying platform for different brands and drinks companies to celebrate contemporary cocktail culture in London. We're now in our third year and thrilled by the level of support we're already seeing from the drinks trade. The 2012 Seven Dials hub is a perfect pedestal to celebrate the capital's cocktail culture and will gain unprecedented attention for everyone from top mixologists to those who just love consuming great cocktails." Festival-goers need a wristband to qualify for £4 cocktails at each of the participating bars and to gain entry to events around Seven Dials, many of which are limited capacity. Wristbands will cost £4 each though are free to members of the drinks industry (proof of employment required). Everyone wanting to participate will need to register online from August onwards. London Cocktail Week 2012 will take place during the week of October 8th-14th. This year the lovely folk of LCW have developed a new partnership with Seven Dials to create a new hub in the heart of London. They’ve also deliberately reduced the number of bars to around 100 to ensure the best of the best bars and therefore drinks are showcased throughout the week. As always there will be events and workshops happening throughout the week for the on-trade and the off-trade. The participating bars will have drinks offers on all week, and there will be the usual busses to run people out to the bars that are further afield free of charge. Further details will be published on their website closer to the time, so keep an eye out! You’ll need a wristband to participate in the week. Registrations for these will open in August when they’ll be a mere £4. Make sure you submit your details before October when the price will rise to £10. Either way it’s very much worth the price, but you may as well pick them up sooner rather than later!